Funnybooks is the story of the most popular American comic books of the 1940s and 1950s, those published under the Dell label. For a time, "Dell Comics Are Good Comics" was more than a slogan—it was a simple statement of fact. 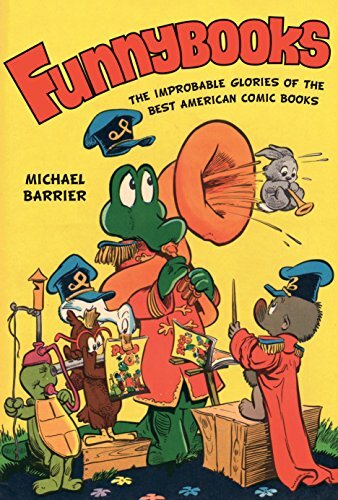 Many of the stories written and drawn by people like Carl Barks (Donald Duck, Uncle Scrooge), John Stanley (Little Lulu), and Walt Kelly (Pogo) repay reading and rereading by educated adults even today, decades after they were published as disposable entertainment for children. Such triumphs were improbable, to say the least, because midcentury comics were so widely dismissed as trash by angry parents, indignant librarians, and even many of the people who published them. It was all but miraculous that a few great cartoonists were able to look past that nearly universal scorn and grasp the artistic potential of their medium. With clarity and enthusiasm, Barrier explains what made the best stories in the Dell comic books so special. He deftly turns a complex and detailed history into an expressive narrative sure to appeal to an audience beyond scholars and historians.